An inverter is an electrical device that converts direct current (DC) to alternating current (AC). A three-phase inverter is a commonly-used inverter for powering a variable-speed motor like the permanent magnet synchronous motor (PMSM). 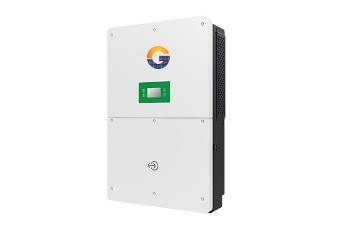 The three phase inverter consists of three single-phase branches which connect to three load terminals. These three phase inverters are configured with the highest precision inputting proven quality component in order to get the best in class quality inverters for you. We as the manufacturer of three phase inverter are well experienced in devising any size of the three phase inverter of your choice with the use of the cutting edge technology in order to deliver the unmatched quality of the three phase inverter.